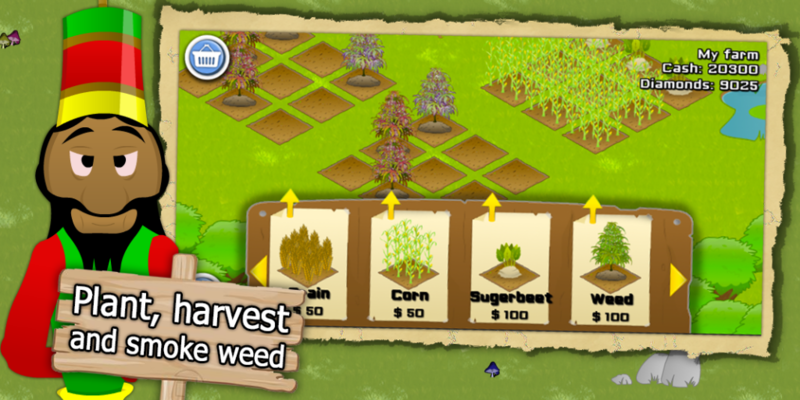 Ganja Farmer is a farming game where players can harvest weed, mushrooms, bake spacecake and distill liquor. 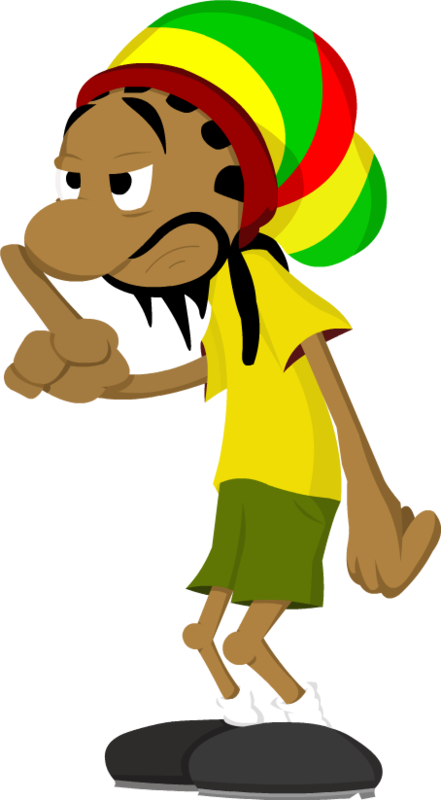 The design will be based on cartoons and caricatures of the typical weed smoking stereotypes. Players will be able to purchase premium fertilizer and other materials to help make their plants grow faster as well as their entire Ganja Farm. The days of buying your weed from a sketchy dealer in a dark ally are over. Now you can harvest your Stuff directly from your phone! 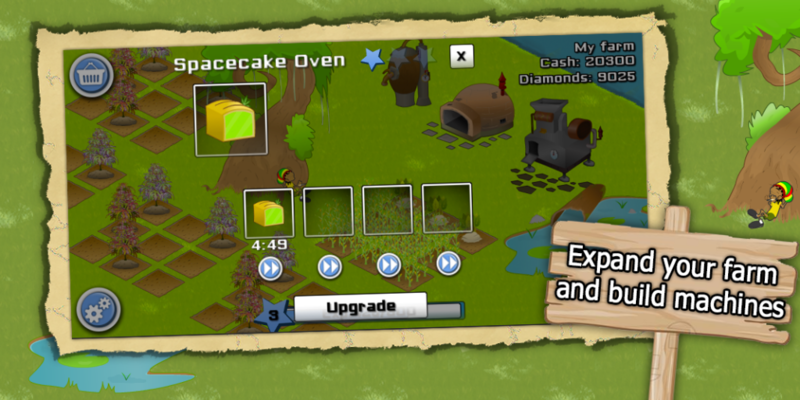 Grow weed, bake spacecake and more! 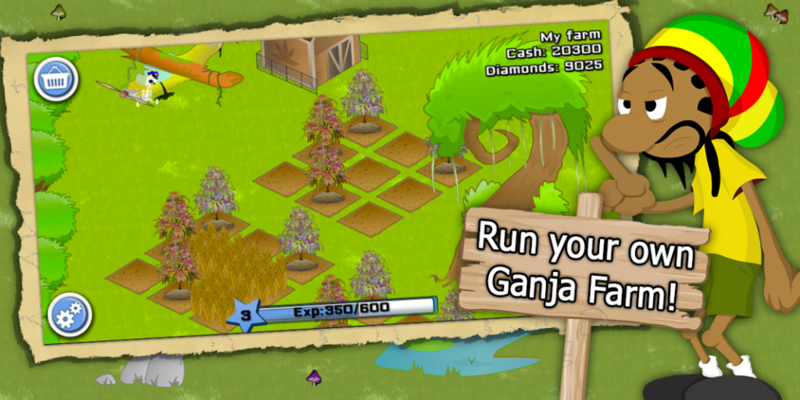 During, and after the launch, the Ganja Farmer Team analyze user demand and add features based on the feedback provided by them, such as a Multi-Player function, idea’s for new products that can be added to your Ganja Farm and much, much more. Shortly after the public launch on Android, we developed for iOS. Please how do I make scarves on the game? You can use the sewing machine for creating scarves. Thanks for the latest update. But the Cake Boss achievement does not work. Fun game I just don’t know how to log into Facebook with it.